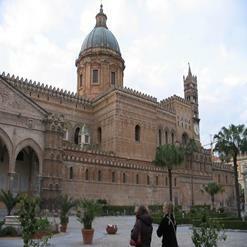 Also known as Royal Palace of Palermo, Palazzo dei Normanni was completed by William II in the 12th century. Considered as most magnificent Arab-Norman architecture in entire world, it is also one of the best known monuments of medieval Europe. Lately it was a seat of Kings of Sicily during the Norman power and now is the seat of original parliament of Sicily.